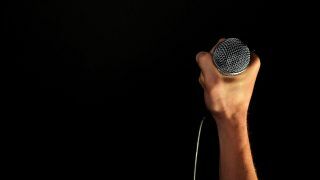 We’ve all tried it, but very few of us are actually good at beatboxing – and handily for those of us who are less talented than the likes of Beardyman, you can now use the Neural Beatboxer to do all the hard work for you. Thanks to Nao Tokui, CEO of music and AI startup Qosmo, anyone with access to Google Chrome can try their hand at laying down some sick beats. His new neural network-powered software collects snippets of audio to produce a custom drum kit, automatically sequencing them to create a beat. All you have to do is record a short sound into the Neural Beatboxer – this can be anything from a clap, to a your own voice, or even flicking a plastic bottle as Tokui does in his demonstration video. You can record directly into your computer’s inbuilt microphone, although audiophiles will probably want to use an external microphone for a cleaner sound. Each snippet of audio is assigned to a different part of the drum kit, with the neural network analyzing the frequencies and deciding which part of the kit the audio should represent. The drum kit is then used to generate a rhythm, using Google’s DrumRNN model. With new AI music software like Sony’s Flow Machine and Amper AI becoming more and more complex, it’s surely only a matter of time before we see a robot at Number 1 in the charts – although whether the music will be any good remains to be seen. You can try out the Neural Beatboxer here.